Should You Ever Adjust Your Water Heater Temperature? When it comes to cutting energy costs in your Fort Collins home, there’s one appliance that many will tell you to focus on: your water heater. Water heaters can be one of the biggest energy-consuming appliances. On average, it costs about $781 to operate each year—although to find out your exact cost, you’ll need to check your appliance which should include a label listing the annual operating cost. But, is it safe to adjust your water heater temperature? You can—and yes, it’s safe! But before you think about dialing back or kicking up the heat your water heater’s thermostat, there are a few things to consider. Is it safe? And, if so, how low or high can you go? Read on to find out. 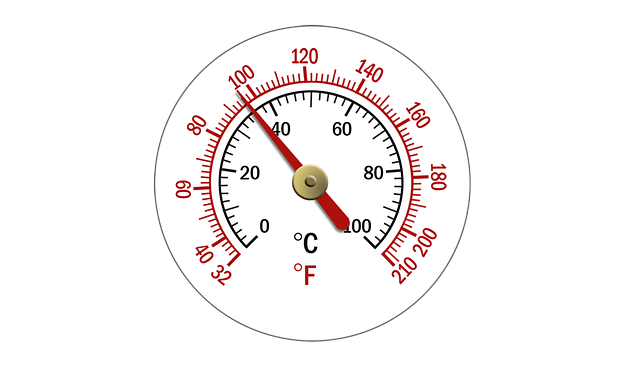 How Low Can You Adjust Water Heater Temperature? Reducing the temperature of your water heater by 20 degrees, can help you cut energy consumption by as much as 10 percent. That’s impressive—but you have to consider the consequences of a water heater that’s set too low. Never set your water heater below 120 degrees. That sounds hot, but setting your appliance at anything below 120 degrees can be a recipe for disease. Bacteria can (and often will) develop in the stagnant water inside the water heater. Plus, if your water heater is set too low, you’ll also be forced to take short (or maybe even cold) shower. How Do You Avoid Scalding? Is your water too cold? Adjusting the temperature of your water heater can also be a disaster if you set the temperature too hot. So, what’s the best temperature to avoid scalding? To avoid scalding children, it’s recommended to avoid setting the temperature above 140 degrees. For safety, it’s ideal to set the water heater at 120 degrees to start and increase the temperature in small increments until you find the perfect bath or shower temperature. Having water heater trouble? Will your water heater not heat up to the right temperature? Is your water heater leaking? Choose Good Guys Home Services—the Fort Collins water heater experts. You won’t have to fret about your water heater’s performance ever again. When it comes to repairing all aspects of your home’s plumbing system choose the locally owned business that takes pride in living up to its name. Whether you need assistance while remodeling your home or need us during an emergency water heater failure, you can rely on the experienced staff at Good Guys Home Services. Contact us online today or give us a call at (970) 818-8008. We offer year-round HVAC and plumbing services throughout Northern Colorado. Located in Fort Collins, we also serve the following areas: Loveland, Ault, Greeley, Denver, Windsor, Boulder, and Longmont, Colorado.